It turns out it's not as hard as you may think to talk about emotions at work. The most common fear from leaders and consultants is how people will respond to being told they are going to be going through a workshop about emotions. We worry that it won't go very well – which it probably won’t unless you have the right game to make it easier for people to tackle a challenging topic. We interviewed Derri Evans, Scrum Master at Westpac New Zealand, who is one of the leaders behind the adoption of The Emotional Culture Deck at Westpac New Zealand. This is what Derri had to say about The Emotional Culture Deck, why she's using it, and what she's hoping she will be able to achieve by injecting the deck into Westpac New Zealand Squads. Create a more human and empathetic workplace culture with our latest tool called The Emotional Culture Deck. What are great organisations doing that OK organisations aren’t when it comes to culture? How are they behaving? What play book are they following? How do they define and then create a culture where people deliver on the organisations most fundamental beliefs every day? Values can be inspiring but rarely are they transformative for a business. Too many companies struggle to imbed their values within their business. Why? The key to great customer relationships, is not what a brand says or does but how it makes the person feel. What do you need to win the hearts and minds of people you want to connect with? Recently Jeremy was interviewed in The Culture Guy podcast by Benjamin Drury in the UK. We chat about The Emotional Culture Deck amongst other great stuff we’re doing in the culture space at the moment. 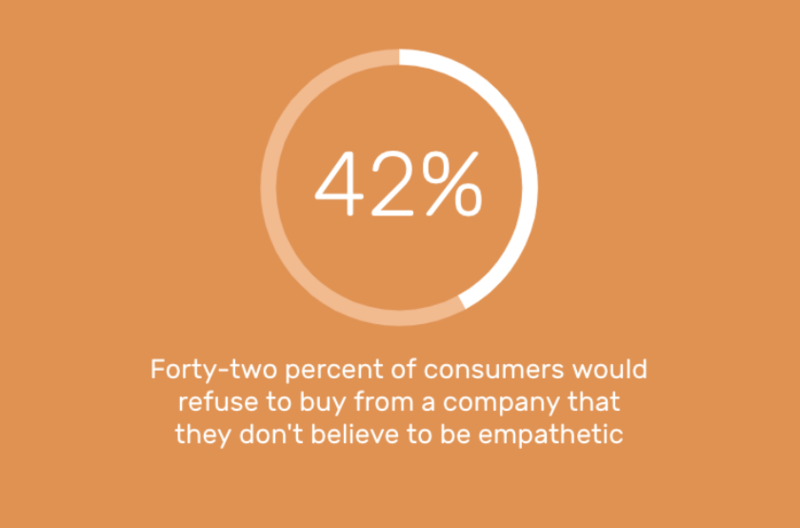 Forty-two percent of consumers would refuse to buy from a company that they don’t believe to be empathetic. So empathy pays. Literally. But even though sixty percent of CEO’s believe their organisations are empathetic, only twenty-five percent of employees believe that to be true. There’s a gapping empathy gap between leaders and employees. Here’s how you can close the gap. So you want to actually feel something meaningful in your work? Late last year I was invited onto the SuperNova Podcast to chat with Lena Ski about emotions in the work place and the story behind The Emotional Culture Deck. Check out the interview below. So, you want your work to actually mean something huh? Something meaningful. Something worth waking up for. Something worth staying awake for. Something worthy of your clients needs. Something special. The founder of riders&elephants Jeremy Dean gets you and has got your back - and there's a group of us willing to have that convo with HR. Here's proof that your work can feel like play and do something epic without having to change the whole world. And it sounds a little something like this. How the Emotional Culture Deck helped the youth leadership team from the CanTeen’s Hawkes Bay branch. Young people don’t expect to come face to face with cancer, but they do. Cancer is terrifying for anyone, but for a young person already dealing with what life is throwing at you, cancer – your own or that of a family member – is an unexpected curve ball. Dedicated to supporting young people 13-24 come to grips with the emotional and practical toll of cancer, CanTeen gets it. Read about how the Hawkes Bay branch of CanTeen used The Emotional Culture Deck here. Do your people believe that change is needed? Do your people believe that change is appropriate? Do your people believe there will be positive consequences for them through this change? Do your people believe they can change? Do your people believe that their leaders and managers are able to support them through this change? Do your people feel interested, curious or joy when they think about this change? If you can answer yes to every question, you're ready for a change. If you answer NO to any questions, design a way to turn that answer from a NO to a YES. As a leader, you're in the business of people and change. You need to focus on both beliefs and emotions – you must cultivate positive emotions within your people. It’s not enough to just tell people why change is needed. The questions above are based on the work of Professor Alannah Rafferty of the Griffith Business School, Australia. How do we create more meaning in our work? Check this article out for inspiration on how to inform culture and behaviours by Mollie West (IDEO) and Kate Judson (SYpartners). "We keep telling them about our values but they're just not listening"
What do you want your customers to feel? Great experiences build trust. Trust is good business. Worry less about what your logo looks like and more about how people feel when they come into contact with your brand. We're on a mission to help leaders create inspiring cultures, engage their people, and ensure they avoid the mistakes of those who’ve never quite achieved moving beyond superficial conversations about culture.